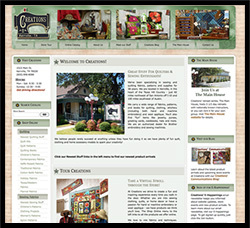 Creations regularly offers special events like lectures, classes, and multi-day retreats with nationally known instructors at The Main House. The multi-day retreats include overnight lodging. Our 2018 Retreats were a lot of fun and we’ll be winding up that season with Sue Spargo in October. We look forward to more good times through 2019! Our retreats often fill up as soon as we announce them. So, if you are feeling left out because the retreat you want is already full, be sure to sign up for the Creations’ Newsletter so you can sign up as soon as we announce a retreat. (We’ve had to start announcing them via our email newsletter as soon as we get the teachers confirmed, because they post the retreat information on their own websites immediately.) As soon as we have a contract with a teacher, we send out an announcement with the instructor name, date and class description via our email newsletter. You will be the first to receive that news if you are on our email list. If you are interested in one of the open slots, or in getting on a waiting list, please contact Julie Milam at 830-896-8088. We do not have online registration for these retreats. Most of our retreats are 3 1/2 days and the cost of these is $695.00 + lodging tax, which includes the 3 1/2 days of class, 9 meals and 3 nights stay at The Main House. You may choose to come as a “day student” for $545.00 which includes everything except the overnight lodging. The Penny Haren retreat in March is a 2 day retreat. The cost for this retreat will be $415.00 + tax which includes a two night stay. For the day students, the class will be $295.00. For 2019 we have again added a leftover night to each of our retreats, including our UFO Retreats. Here’s how it works – if you are traveling a distance, you might want to spend one more night at The Main House to get a fresh start in the morning. The fee is $50.00 which includes leftovers from our meals and a good night’s sleep before you begin home. We will charge your card a $150.00 deposit at the time of registration. We will charge the balance 60 days prior to the class and send the supply list at that time. 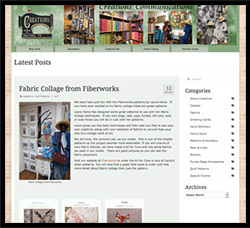 If you cancel before the balance is charged, we will refund $100.00 in the form of a Creations’ Gift Card. If you cancel within the 60 days, we will refund to your credit card, the amount of the retreat, less $150.00. If you cancel within 15 days of the retreat, there is not a refund as the instructor has been paid. PLEASE NOTE: Our 2019 Retreats will all start on a Thursday, with the exception of the Sue Spargo Retreat in October, which starts on a Sunday. 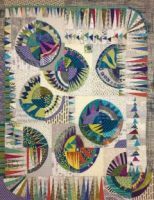 Jan will be leading students through the Complex Paper Pieces Quilt by Judy Neimeyer - or students may choose to continue work on their own partially completed Judy Neimeyer quilt. Jan will also be demonstrating the latest Judy Neimeyer Technique of the Month in this retreat. Note: This retreat starts on a Thursday. 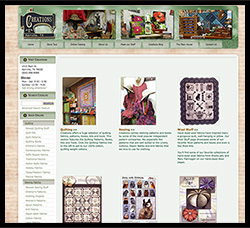 Penny Haren is a past quilt shop owner, pattern/book author, and instructor for Creative Grids rulers. This is a two day class, but we will have availability for an overnight before the class begins. Each day Penny will demonstrate 3 of the amazing Creative Grid rulers in the morning and then in the afternoon/evening students will be able to work on a project using the ruler or rulers they are most interested in. 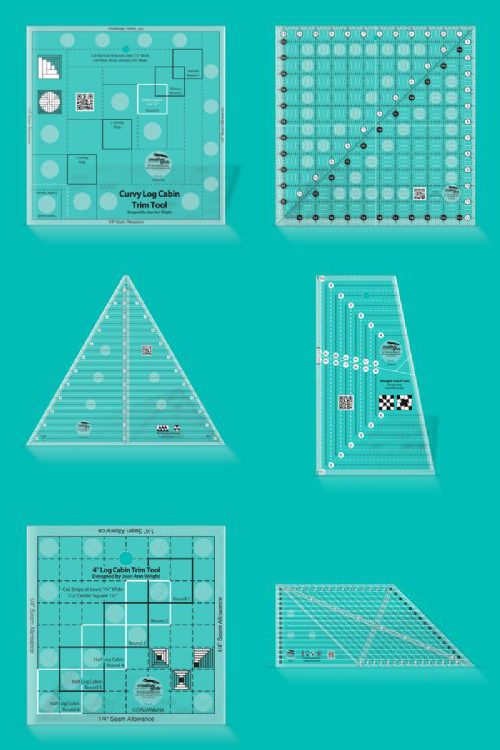 Just a few of the Creative Grids rulers from our website are shown in the sample image. When Karla comes to teach she shows so many quilts with wonderful techniques that you just want to make them all. Her class will encompass curved piecing with her Creative Grid rulers, improv paper piecing and even a mystery quilt if you prefer. You can work on one technique or make small projects of many. You can decide when you arrive. Whatever you decide you will love Karla’s high energy and enthusiasm for piecing. This retreat is full, but a wait list is available. 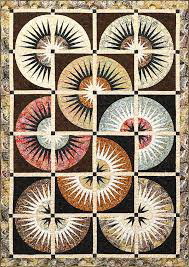 If you are new to paper piecing, or just want to learn the Judy Neimeyer technique without working on a huge or complex quilt, then this retreat is for you. Jan will be teaching the basics of using the paper foundation technique Judy is so famous for. 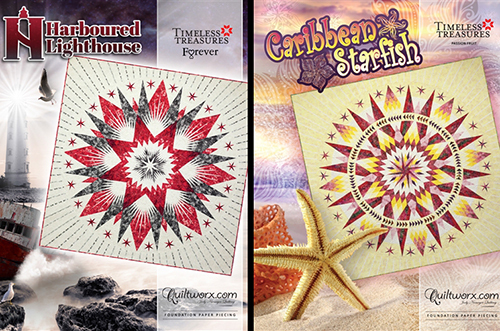 The quilt that will be made in this class is Clockworx. This quilt is 49” x 71” but you could also make a smaller bed runner out of the blocks. Carol will be teaching the art of Thread Painting. 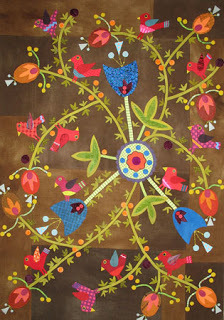 Thread painting is free style machine stitching with feed dogs lowered. Thread becomes your paint and fabric your canvas. We will begin with step-by-step instruction so anyone with basic sewing machine knowledge will be comfortable in this class. 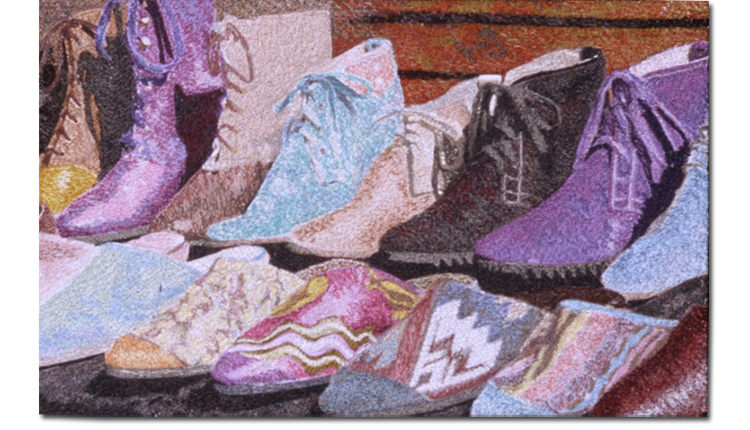 The result of blending threads is a painterly image that can stand alone or be incorporated into a quilt or garment. Debbie will return to The Main House for another Shibori Dyeing retreat. If you were in the first one, you will learn new techniques. 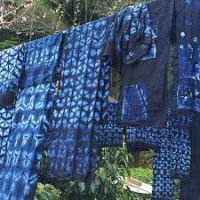 If you haven’t taken before, you will learn the art of Shibori Dyeing and the fun of having Debbie Maddy teach you! Sue will return to The Main House to inspire your creative stitching process by combining wool work and threads of all weights. You will create 3D stitches using her threads. Retreat is full, but we are taking a waiting list. Note: This retreat starts on a Sunday. The Main House UFO retreats are for any student who has previously attended one of our retreats. This is a time to return to The Main House and work on any project you might have. You will find old friends from previous retreats and meet new friends during the UFO. 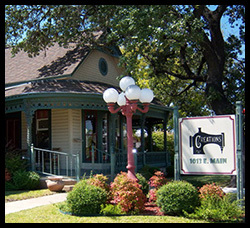 The total package for a UFO Retreat is a 3 night stay at The Main House, with 9 meals and unlimited sewing time for $425.00. If you want to come as a day student, the cost is $275.00 and this includes unlimited sewing time and 9 meals. For 2019 we have added a leftover night to the UFO retreats. If you are traveling a distance, you might want to spend one more night to get a fresh start in the morning. The fee is $50.00 which includes leftovers from our meals and a good night’s sleep before you begin home. Please note our UFO Retreats now start on Thursday. And we are offering a leftover night on the 11th for an additional $50.00. And we are offering a leftover night on the 31st for an additional $50.00. And we are offering a leftover night on the 9th for an additional $50.00.